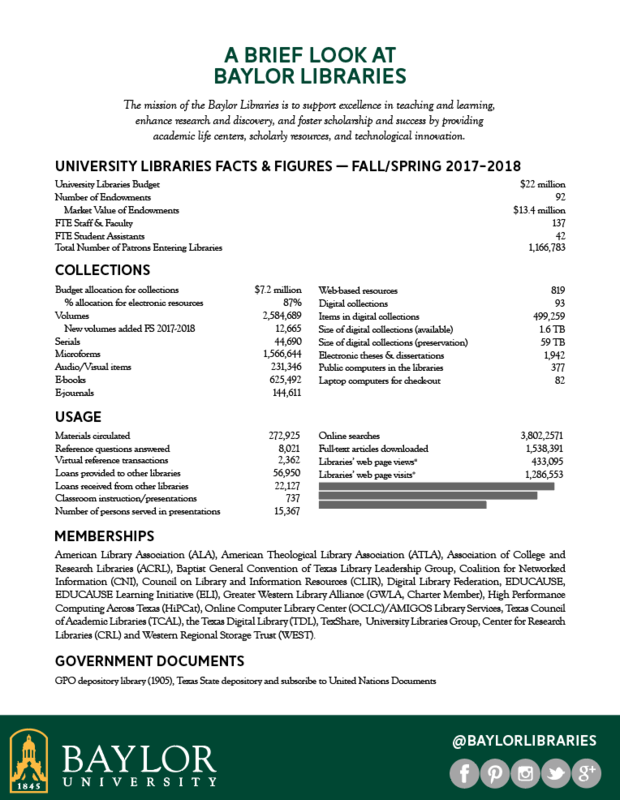 Baylor University Libraries & Information Technology Services shares stories and vital information from our division for our constituents. 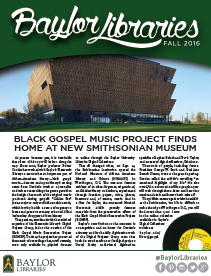 News from the Baylor Libraries engages our patrons and supporters with the latest events and activities of the libraries. 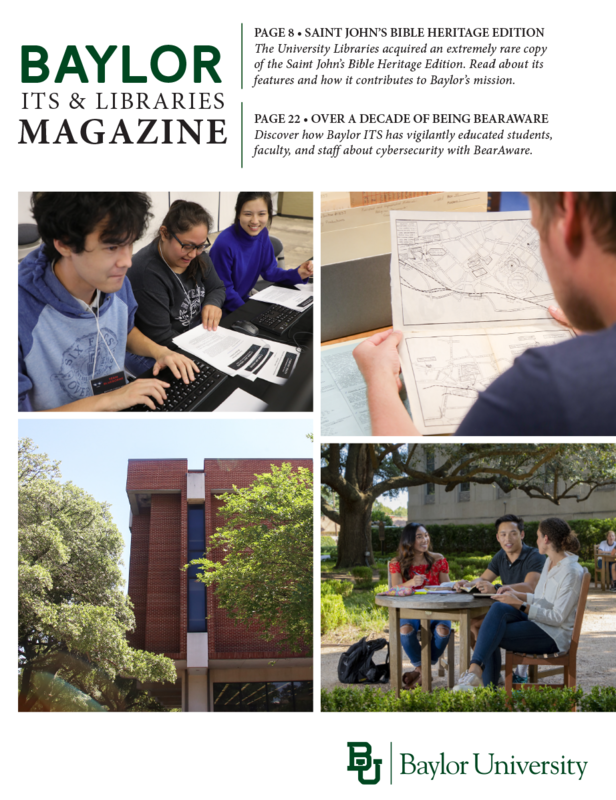 A one-page overview of the Baylor Libraries that features a statistical profile and brief descriptions of each of our libraries from the 2017-2018 academic year.